From the beginning of the Space Shuttle Program, the promise of a permanent, space-based work platform – dubbed Space Station Freedom – was a fixture within the Program. And while Space Station Freedom didn’t quite materialize as expected, what came from the fruits of those laborious development sessions provided a solid foundation for unprecedented international corporation and scientific achievements in Low Earth Orbit – achievements that would dominate the second half of Endeavour’s career. Following her highly successful mission to the Russian space station MIR in January 1998, Endeavour returned to the Kennedy Space Center at the end of January and was moved immediately in OPF-1 where preparations for what is arguably the second of her two most important missions began: the STS-88 mission to begin construction of the International Space Station. After 9 months in the OPF, Endeavour was rolled to the VAB on October 15 and mated with External Tank 97. 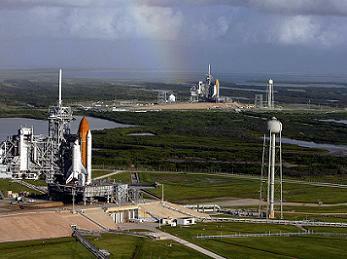 On October 21, Endeavour and the STS-88 stack was rolled out to launch pad B at the Kennedy Space Center. Over the following six weeks, Endeavour’s payload, the Unity module (ISS Node 1) with PMA-1 (Pressurized Mating Adaptor 1) and PMA-2 was loaded into her payload bay and final preparations made as Endeavour tracked a tentative Dec. 3 launch date. Following the successful launch from Russia of the Zarya module on November 20, Mission Managers officially set Endeavour’s launch date for December 3. Final payload closeouts were completed on Dec. 1 and Endeavour’s payload bay doors were closed for flight. On December 3rd, the countdown proceeded smoothly, with the only concern being RTLS (Return To Launch Site) abort weather at the Shuttle Landing Facility. At T-9mins and holding, all stations were go except for RTLS abort weather. With the approval of the Launch Director and Chairman of the Mission Management Team, the consensus was reached to resume the count and hold at T-5mins to further assess the weather. Shortly after the count resumed at T-9mins, RTLS weather went GREEN and the countdown proceeded through the T-5min mark. At T-4mins 24secs, a Master Alarm regarding a below normal pressure indication of Hydraulic System #1 sounded in Endeavour’s crew cabin. The Ground Launch Sequencer (GLS) issued an automatic hold at T-4mins – the next available GLS hold milestone. The count quickly resumed and the launch team inserted a hold at the last possible GLS hold milestone – T-31secs – to further assess the situation. Shuttle system engineers attempted to quickly complete an assessment of the suspect hydraulic system and eventually gave an initial “go” to resume the countdown. With only seconds to respond, launch controllers resumed the countdown but not in time to satisfy LOX drain back hold constraints. The countdown was cutoff at T-19secs and a 24hr scrub turnaround initiated for a Dec. 4, 1998 launch attempt. Liftoff of Endeavour and the STS-88 mission to begin construction of the International Space Station (ISS flight 2A) occurred right on time on the second attempt at 03:35.34 EST 4 December 1998. It was the 93rd Space Shuttle mission and lucky number 13 of Endeavour. To accomplish the mission, Endeavour launched into a 173nm 51.6-degree inclination orbit on course for a Flight Day 4 (FD-4) meeting with Zarya. Over the course of the 12-day mission, Endeavour’s crew mated the Unity module to OV-105’s Orbiter Docking System (ODS) on FD-3, rendezvoused with and grappled the Zarya module on FD-4, mated the two modules together that same day, and conducted two spacewalks to connect power and data cables between Unity, the PMAs, and Zarya – all of which were performed successfully. Also carried aboard Endeavour on this mission was the Argentinean Scientific Applications Satellite-S, the MightySat 1 Hitchhiker payload, the Space Experiment Module, and Getaway Special G-093 sponsored by the University of Michigan. After completing all docked priorities, Endeavour undocked from the newly formed International Space Station. She successfully returned to the Earth with a landing on runway 15 at the Kennedy Space Center at 22:53 EST on December 15. 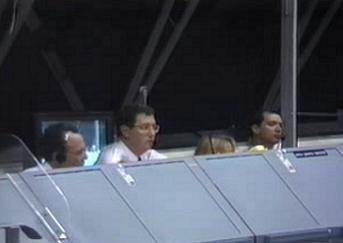 Endeavour was immediately towed into OPF-2 where processing began for the STS-99 Radar Topography mission. Delays to the launch manifest following the all eventful STS-93 launch of Columbia in July 1999 and fleet-wide wiring insulation problems and corrections, as well as a desire to fly the STS-103 emergency mission to Hubble as soon as possible, resulted in the progressive slip of Endeavour’s STS-99 mission from September 1999 into January 2000. On December 2, 1999, Endeavour was finally rolled over to the VAB and mated with her External Tank. While in the VAB, one of her Space Shuttle Main Engines (SSME) – SSME-3 – was removed and replaced. After arriving on the launch pad on December 13, Endeavour’s launch date was further placed under question. 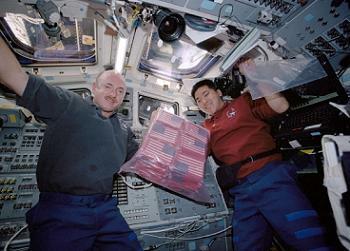 Finally, January 31, 2000 was selected as the launch date. On January 31, a prolonged hold at T-20mins and holding was executed because of weather constraints. At this time, the teams began working a problem with one of Endeavour’s Master Events Controller’s (MEC #2) Built In Test Equipment (BITE). The problem quickly vanished and did not repeat during testing. The countdown was eventually scrubbed due to weather and a 24hr turnaround implemented. However, the following day, it was decided that Endeavour’s launch would be postponed until her suspect MEC #2 could be replaced on the launch pad. This marked the first time since Discovery’s maiden voyage (STS-41D) in August 1984 that a Shuttle launch was delayed because of a problem with the MECs. The launch was first reset to Feb. 9, 2000 and then later moved to Feb. 11. During this time, a failed GPS box was replaced. 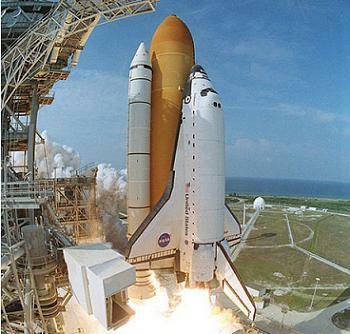 On February 11, 2000, Endeavour’s liftoff was delayed 13 minutes to allow teams enough time to troubleshoot three engineering problems: a cabin leak check supply pressure issue, a hydraulic recirculation pump issue, and a L2 manifold tank heater problem. Endeavour launched from Pad-A at 12:43 EST 11 February 2000 on the 12-day radar topography mission. To accomplish the mission’s objectives, Endeavour was launched into a 57-degree 126nm-high orbit. This would be the LAST solo flight of Endeavour. All of her remaining missions would be to the International Space Station. Subsequently, this would mark the last time Endeavour would be launched into an orbit other than that of the ISS at 51.6-degrees. During the mission, Endeavour’s crew obtained the most complete high-resolution digital topographic database of the Earth using specially modified C-band and X-band interferometric synthetic aperture radars. In all, Endeavour collected 1 trillion measurements of Earth’s topography for the creation of better maps, enhanced water drainage modeling, realistic flight simulators, improved knowledge for cell phone tower locations, and enhanced navigation safety. During 222 hours 23 minutes of mapping, Endeavour’s radar images filled 332 high-density tapes and covered 99.98 percent of the planned mapping area at least once and 94.6 percent of it twice. Enough data was gathered to fill the equivalent of 20,000 CDs. Endeavour wrapped up STS-99 by performing the 50th KSC landing at 18:23 EST on February 22, 2000. Endeavour was then towed into OPF-2 where post-flight deservicing/processing and pre-flight processing for STS-97 – the 6th ISS construction flight – began. She was moved to the VAB on Oct. 25 for mating with her mission’s External Tank. She arrived at launch pad 39B on October 31 for a late-November launch. After working two issues late in the count – a loose bracket in the White Room that delayed ET fueling by 2hrs 21mins and a momentary signal dropout experienced by the Eastern Test Range – Endeavour launched right on time at 20:06 EST on November 30, 2000 to begin her 15th mission. 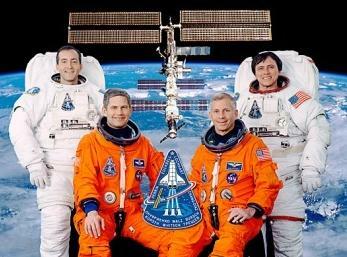 STS-97 was the 101st Space Shuttle mission and the LAST manned spaceflight of the 20th century. The international mission and crew delivered the first set of power-generating solar arrays and batteries to the International Space Station in the form of the P6 integrated truss structure as well as delivered and installed a communications system for voice & telemetry data. Following the delivery and unfurling of the first set of ISS solar arrays by Endeavour, the ISS quintupled its electrical power and paved the way for the delivery of the first dedicated science laboratory (Destiny) on the first Shuttle mission of 2001 and the 21st century. With the docking of the Endeavour to the ISS on December 2, 2000, Endeavour became the first Shuttle orbiter to visit the populated/crewed International Space Station. However, despite a FD-3 docking, hatches between Endeavour and the ISS were not opened until FD-7 – following the pre-flight mission plan. As a direct result of Endeavour’s STS-97 mission, the Expedition 1 crew on the International Space Station was able to begin the first science experiments of the Station’s career. 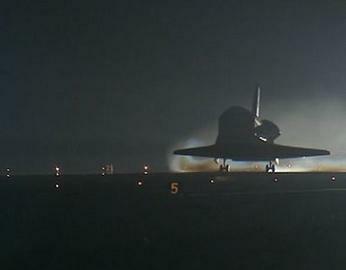 After 10days 19hrs 58mins 20secs, Endeavour landed safely at the Kennedy Space Center on December 11 at 18:04 EST. After this, Endeavour spent 3months in the OPF before rolling to the VAB on March 17 to be mated with an External Tank for her STS-100 mission – the 9th assembly mission to the International Space Station. Liftoff of Endeavour on STS-100 occurred right on time on April 19, 2001 at 14:41 EDT at the opening of a 4.5min launch window. During the highly important mission, Endeavour delivered tens of thousands of pounds of internal supplies and equipment to the ISS via the Multi-Purpose Logistics Module (MPLM) Raffaello (making its debut flight on this mission). The crew also delivered the critical Canada arm 2 (the Space Station Remote Manipulator System, or robot arm) to the Station – an arm that would be vital to the continued assembly of the International Space Station. Endeavour’s STS-100 crew also delivered the Ultra-High Frequency (UHF) communications antenna to the ISS as well as a spare electronics component. The mission also recorded IMAX camera footage of the ISS and Chris Hadfield became the first Canadian to conduct a spacewalk. Endeavour wrapped up the STS-100 mission on May 1 at 12:11 EDT with a landing at Edwards AFB, CA after 11days 21hrs 30mins in space. Endeavour was returned to the KSC and moved into an OPF on May 9 were processing began for STS-108. After five months in the OPF, Endeavour rolled to the VAB in mid-October and out to Pad-B on October 30, 2001 for a November 29th launch. This launch attempt was subsequently delayed so that teams could properly analyze a problem with a Russian Progress vehicle that failed to properly hard dock with the aft port of the Zvezda Service Module of the ISS. Launch was retargeted for a classified launch time on December 4 – a launch time that was not released to the general public until No Earlier Than 24hrs before T0. This new security measure was put into effect as a result of the terrorist attacks against the United States on September 11, 2001. 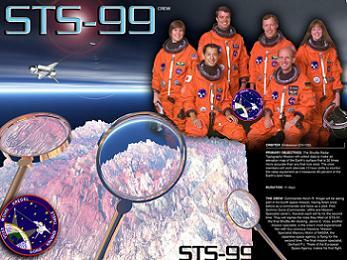 STS-108/Endeavour was the first Shuttle mission to launch after the attacks. She carried with her to space on STS-108 a tattered and torn American flag recovered from Ground Zero in New York City, a Marine Corps flag recovered from the Pentagon, the American flag that flew over the state capital in Harrisburg, PA on Sept. 11th, the 23 shields of the fallen NYPD officers of that day, patches, posters, & an emblem from the FDNY, patches from the Port Authority of New York and New Jersey, and 6,000 small American flags to honor those lost and those who served in the response and recovery efforts. On Dec. 4, the launch was scrubbed at the T-5mins and holding mark due to unfavorable weather conditions. The countdown on December 5 proceeded nominally and Endeavour thundered off Pad-B at 17:19 EST to begin her 17th mission and the 12th ISS assembly flight. STS-108 marked the last time that Endeavour launched from Pad-B. All of her remaining missions would launch from Pad-A. Flying aboard Endeavour on STS-108 on his first space flight was pilot Mark E. Kelly – the person who will become the final Commander of Endeavour with the upcoming launch of STS-134. 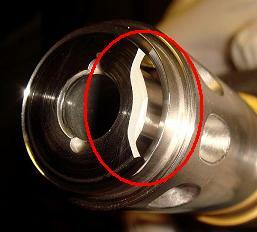 Upon docking of the Endeavour to the ISS, Endeavour’s ODS ring did not properly align with the Station’s PMA-2. After allowing the relative motions between the two vehicles to dampen out, hard dock was secured. The practice of allowing for the dispersion of relative vehicle motions before pressing to hard dock became a staple of all subsequent Space Shuttle/ISS missions. In all, the STS-108 mission delivered tens of thousands of pounds of supplies and internal equipment to the ISS via the MPLM Raffaello (making its second trip to space) with eight resupply stowage racks and four resupply stowage platforms. Endeavour landed safely at the Kennedy Space Center on December 17 at 12:55:16 EST. Wheels stop occurred at Mission Elapsed Time 11days 19hrs 36mins 45secs. Endeavour spent 4 months processing for her next mission, STS-111. The countdown was relatively uneventful and Endeavour sailed toward a May 30, 2002 launch date. On May 30, a GN2 (Gaseous Nitrogen) regulator on Endeavour’s left OMS pod acted up, and the T-20min hold was extended from 10mins to 20mins. When this issue was cleared, the count proceeded to the T-9mins and holding mark where the launch was scrubbed due to unfavorable weather conditions at the Kennedy Space Center. A subsequent launch attempt the following day was called off before the start of ET fueling because of unfavorable weather forecasts. 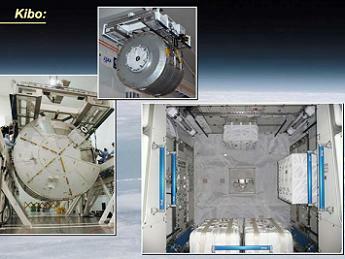 During the mission, Endeavour’s crew delivered tens of thousands of pounds of supplies and equipment to the ISS via the MPLM Leonardo and delivered and installed the Mobile Base Station for the Canada arm 2 Mobile Servicing Station (MSS) – thereby enabling the SSRMS to inchworm from the US Destiny lab to the MSS and work on various locations along the Station’s growing Integrated Truss Structure. STS-111 marked the last time a CNES astronaut – the now defunct French space agency following its incorporation into ESA (European Space Agency) – flew aboard the Space Shuttle. The 13day 20hr 35min 56sec mission concluded on June 19 with a flawless landing at Edwards AFB, CA at 13:58:45 EDT. Endeavour was then prepared for the STS-113 mission later in 2002. After arriving at Pad-A in mid-October, processing proceeded smoothly toward a scheduled Nov. 10 launch. On November 10th, the launch was scrubbed at 21:50 EDT due to an oxygen leak in the crew module. The leak was fixed and the launch retargeted for November 22. On this day, the launch was scrubbed because of unacceptable weather at all three Transoceanic Abort Landing (TAL) sites. Launch occurred on November 23, 2002 at 19:49:47 EST. STS-113 was the 112th Space Shuttle mission, the 28th night launch of the Space Shuttle, the 16th Space Shuttle mission dedicated to assembly of the International Space Station, and the 19th mission of Endeavour. On STS-113, Endeavour delivered the 27,506 lbs, 13.7 meters long, 4.6 meters wide, and 4 meters high P1 truss assembly to the Space Station as well as the Crew and Equipment Translation Aid (CETA) cart for the Mobile Transporter rail line on the Station. 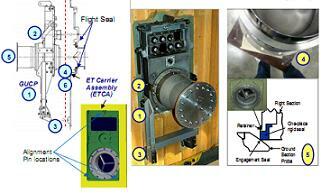 Endeavour also carried the Micro-Electromechanical System (MEMS) based Pico Satellite Inspector during STS-113. After three days of landing weather wave-offs, Endeavour finally landed at the Kennedy Space Center on December 7, 2002 at 14:37:12 EST after 13days 18hrs 47mins 25secs in space. STS-113 marked the first and only time that a Space Shuttle suffered three days of weather landing wave-offs and marked the final time that a Russian flew aboard the Space Shuttle. Less than two months after the successful landing of Endeavour and STS-113, her sister Columbia would not make it safely back to Earth. In the aftermath of the loss of Columbia, Endeavour was sent through her second Orbiter Modification Down Period (OMDP). This time, however, the OMDP was performed at the Kennedy Space Center instead of at Palmdale in California. During the OMDP, Endeavour was fitted with every single one of the safety upgrades and modifications recommended by the Columbia Accident Investigate Board, including the Wing Leading Edge Impact Detection System and an Orbiter Boom Sensor System (OBSS). She was also fitted with a state-of-the art glass cockpit, a fully-functional 3-string GPS system to provide the most accurate information on vehicle position and orientation during entry and landing ops, and the Station-to-Shuttle Power Transfer System (SSTPS) – a system that would enable her to perform complex 15-16 day missions to the International Space Station by drawing power from the ISS and thereby conserving her own cryos for her Fuel Cells. Launching for the first time since Columbia on STS-118 (a mission originally manifested to use Columbia) on August 8, 2007 at 18:36:42 EDT, Space Shuttle Endeavour – Shuttle Challenger’s replacement – carried Barbara Morgan to space. Morgan had previously served as Christa McAuliffe’s backup to the ill-fated Challenger/STS-51L mission. 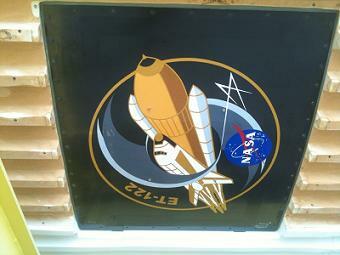 Thus, with Endeavour and STS-118, the goal of placing a teacher in space was realized. During STS-118, the seven-person crew delivered the S5 spacer truss to the ISS and thousands of pounds of supplies via the SPACEHAB module. The mission marked the final flight of SPACEHAB. The flight also became the only mission to date to require a Focused Inspection of an orbiter’s Thermal Protection System (TPS) following the discovery of what turned out to be an “underwhelming” gouge in Endeavour’s belly TPS tiles from an ice ball impact during launch. The Focused Inspection quickly allowed mission engineers to clear Endeavour for reentry and landing. The mission became the first to make use of the SSPTS system – in a test capacity at first – and the first Shuttle mission to use a three string GPS positioning system in a non-Detailed Test Objective scenario for real-time, in-flight use. The mission was cut short by one day in order to ensure the safe landing of Endeavour before Hurricane Dean passed close to the Johnson Space Center and Mission Control. 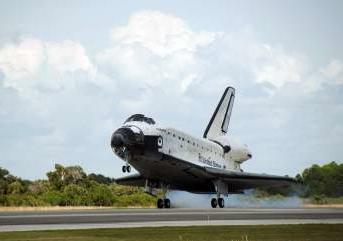 Upon landing at the Kennedy Space Center, 12days 17hrs 55mins 34secs after liftoff, Endeavour was towed back to her now-dedicated OPF (OPF-2) for post-flight deservicing and pre-mission processing for STS-123 in February 2008. Delays from the STS-122/Atlantis mission eventually pushed STS-123 to March. On March 11, 2008 at 02:28:14 EDT, Endeavour lit up the night sky of Central Florida as she departed on her 21st mission. The STS-123 1J/A mission marked the first of three Space Shuttle missions to deliver the Japanese Kibo laboratory complex to the International Space Station (of which Endeavour flew two of those missions). On STS-123, the crew delivered the Kibo Experiment Logistics Module-Pressurized Section and Canada’s Special Purpose Dexterous Manipulator – or DEXTRE – to the Space Station. During the mission, Endeavour had to perform her customary late-inspection of her TPS with her OBSS while docked to the ISS because she was to leave her OBSS on the station for use by sister Discovery on the next Shuttle mission. 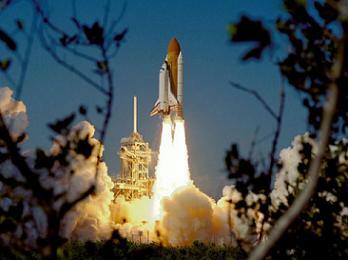 This marked the first time – and to this day – only time that a Shuttle has not returned with its OBSS from a mission. STS-123 was the 25th Space Shuttle mission dedicated to construction of the International Space Station and the first Space Shuttle mission to make full use of the SSPTS. During STS-123, Endeavour set a record (that still stands to this day) for the longest docked time between a Space Shuttle orbiter and the International Space Station: 11days 20hrs 36mins. 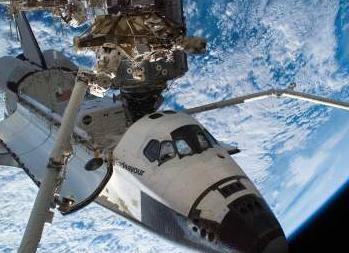 Since only two Shuttle missions remain, and since the only one of those missions that will not use Endeavour cannot stay in space long enough to come anywhere near this record, Endeavour will forever be the Space Shuttle to have been docked for the longest, continuous amount of time to the International Space Station. 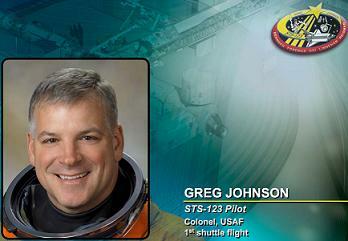 During STS-123, Endeavour was piloted by Greg “Box” Johnson – his first space flight. Johnson will become Endeavour’s final pilot when she launches on STS-134 later this month. After a highly successful mission, Endeavour glided to picture-perfect landing at the Kennedy Space Center on March 26 at 20:40:41 EDT after 16days 18hrs 12mins 27secs in space. 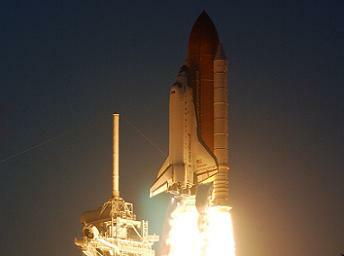 STS-123 marked the first of three back-to-back 16-day missions for Endeavour. Endeavour was then quickly processed for her triple duty role as the STS-326 rescue vehicle for Discovery’s STS-124 mission in May 2008, as the STS-400 rescue vehicle for sister Atlantis’s STS-125 mission to the Hubble Space Telescope, and as the primary vehicle for the STS-126 mission to the ISS. Following the safe landing of Discovery in June 2008, Endeavour continued her processing for STS-400 and STS-126. In mid-September 2008, Endeavour was transported to Pad-B for STS-400 pad processing while sister Atlantis underwent final processing at Pad-A for STS-125. In late October, the STS-125 mission was delayed following the failure of a science data handling unit on Hubble. Once Atlantis was rolled back to the VAB, Endeavour was re-commissioned for STS-126 and rolled around from Pad-B to Pad-A. 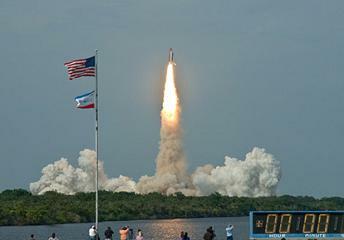 STS-126 successfully launched from the Kennedy Space Center on November 14, 2008 at 19:55:39 EST. It was the fourth and final mission of 2008 and rounded out a perfect launch campaign year for NASA in which all four of the missions launched right on time on their first launch attempts. Endeavour successfully docked to the ISS on November 16 to begin 11days 16hrs 46mins of docked operations. During the mission, the seven-member crew delivered tens of thousands of pounds of internal supplies to the Space Station (via MPLM Leonardo) in preparation for the expansion of ISS permanent crew size from 3 people to 6 people in 2009. 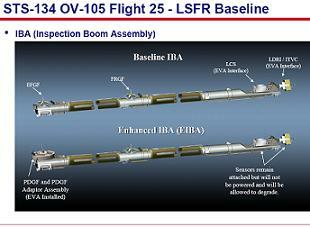 The mission also saw the servicing of the S3/S4 truss’s Solar Alpha Rotary Joint (SARJ) and the repair of the problem that had limited the starboard SARJ’s use since STS-120 in October 2007. After 251 orbits of Earth, Endeavour and her crew landed safely at Edwards Air Force Base, CA 15days 20hrs 30mins 34secs after launch. STS-126 thus became the longest Space Shuttle flight to the International Space Station – a record Endeavour will forever hold since the only remaining Shuttle mission to not use Endeavour cannot stay in space long enough to break this record. Upon landing at Edwards AFB, Endeavour was forced to land on a temporary runway due to refurbishment operations on the permanent runway. The temporary runway was 3,000 feet shorter than the usual 15,000 foot Shuttle runways. As a result, never-before-used braking techniques were required. Endeavour was the FIRST and LAST Shuttle orbiter to land on this temporary runway. 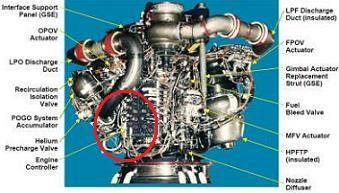 Upon return to Kennedy, it was discovered that one of her LH2 flow control valves had chipped during liftoff because of vibrations in the launch environment and materials fatigue in the FCV. An extensive investigation was carried out – delaying the next Shuttle mission by one month until a safe solution to the issue could be found. The result of the investigation was a wide-spread change in NASA’s understanding of the propellant flow and Main Propulsion System performance during ascent. 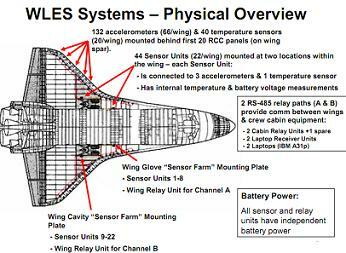 A strict inspection regime of all FCVs after each flight was implemented for each subsequent flight from STS-126. 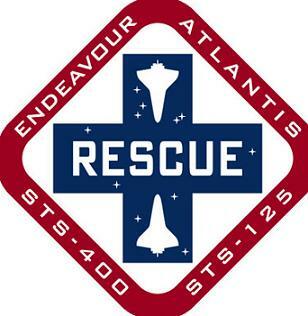 Nonetheless, processing on Endeavour for her once-again triple mission role as the STS-327 rescue vehicle for the STS-119 crew, as the STS-400 rescue vehicle for sister Atlantis’s rescheduled STS-125 mission to Hubble, and as the primary vehicle for STS-127 continued throughout early 2009. In mid-April, she was transported to Pad-B for pad processing for STS-400. With Endeavour on Pad-B and sister Atlantis on Pad-A, this marked the 19th and final time that both Space Shuttle launch pads were occupied by two space shuttle stacks at the same time. 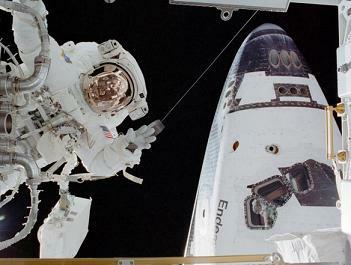 Following the successful completion of the STS-125 mission to Hubble, Endeavour was released from her STS-400 duties. 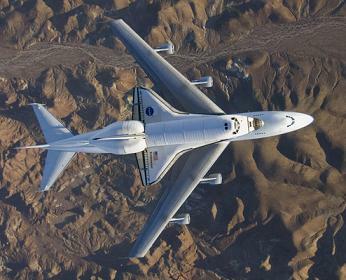 As such, Endeavour is the only Shuttle orbiter to have been assigned a mission that EVERYONE hoped would NEVER fly. 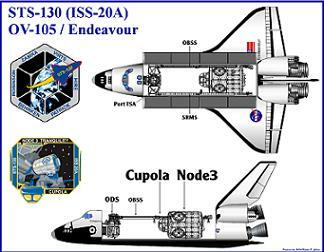 Upon her release from STS-400, Endeavour was rolled off Pad-B and around to Pad-A. 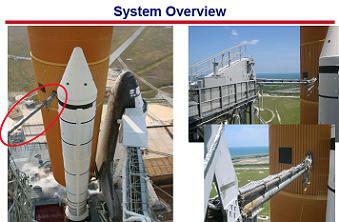 When Endeavour left Pad-B it marked that last time in history that a Space Shuttle was present on LC-39B. Once at Pad-A, processing proceeded very smoothly for Endeavour’s STS-127 mission to the ISS. Initially targeting a June 13 liftoff, a gaseous hydrogen leak was detected from Pad-A’s Ground Umbilical Carrier Plate (GUCP) assembly – a system used to vent the extremely flammable gaseous hydrogen (caused by LH2 boil off inside the LH2 tank) safely away from the Shuttle stack – during ET fueling operations on June 12/13. Following the immediate scrub of Endeavour’s first launch attempt, NASA managers reported that the signature of the leak was “nearly identical” to the leak seen during the first launch attempt of STS-119/Discovery in March 2009. Since the Removal and Replacement (R&R) of the GUCP Quick Disconnect seals fixed the leak back in March, NASA managers decided to repeat the R&R procedure after obtaining critical data on the area of the leak for a root cause investigation. As it would be, the GUCP leak reoccurred during ET fueling on June 16/17 and the launch was scrubbed again. Shuttle Program managers stated that they would not try to launch Endeavour before July 11 to allow for an investigation into the GUCP leaks. In the days that followed the second scrub of STS-127, engineers focused their attention on a minor misalignment between the GUCP and the External Tank Carrier Assembly (ETCA), the component on the ET to which the GUCP is mated. In the end, the ETCA was realigned using high fidelity 0.515″ alignment pins and the Flight Seal in the GUCP was replaced. Once the R&R procedure was completed, a tanking test was performed on July 1 to verify the integrity of the repair and confirm that no leaks were present. The tanking test was a success and no leaks were detected. This paved the way for the July 11 launch attempt of Endeavour, which was postponed prior to fueling because of extra time needed to clear all of Endeavour’s systems following a lightning strike within the Pad-A perimeter the previous day. Launch was rescheduled for July 12 but was scrubbed at the T-9 minute and holding mark due to unacceptable weather around the Kennedy Space Center. 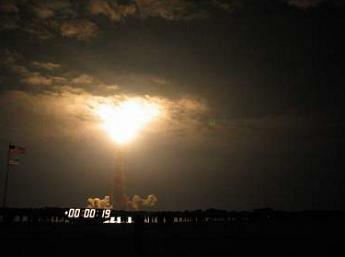 The launch was further scrubbed on July 13 – again at the T-9 minute and holding mark – due to adverse weather. NASA stood down on July 14 to replace the Tyvek covers on Endeavour’s Reaction Control System jets and retargeted launch for July 15. The countdown on July 15 was uneventful and at 18:03:10 EDT Endeavour lifted off from Pad-A just one day shy of the 40th anniversary of the Apollo 11 launch from the same pad. During the course of the mission, Chris Cassidy became the 500th person to fly into space, a record 13 people lived and worked on the ISS during Endeavour’s docked mission (thanks to the increase of the permanent ISS crew from three people to six people at the end of May 2009), five EVAs (spacewalks) were performed, the Japanese experiment exposure facility was installed to the Japanese Kibo module, and six P6 truss batteries were R&R on the ISS. STS-127 marked the last time that 5 EVAs (spacewalks) were carried out on a Space Shuttle mission. As such, Endeavour holds the distinction of being the Shuttle orbiter to perform the first mission with five EVAs (STS-61 in December 1993) and the last orbiter to perform 5 EVAs on a single mission. Of the two remaining Shuttle missions, the only one to not use Endeavour is not slated to perform any spacewalks (EVAs); thus, even if STS-134 requires a fifth, unscheduled spacewalk, Endeavour would still hold this prestigious EVA distinction within the spacecraft community. STS-127 also marked the first time that two Canadians were space at the same time. After wrapping up operations on the International Space Station, Endeavour and her seven member international crew landed safely at the Kennedy Space Center at 10:48 EDT on July 31st on the mission’s first landing opportunity, completing a 15day 16hour 44minute 58second flight. After being towed into her dedicated OFF later that day, Endeavour spent 5.5 months in processing for her next mission: STS-130. Rolling to the VAB in mid-December, Endeavour was mated to the External Tank and then left in the VAB over the year-end holidays. Endeavour and the STS-130 vehicle began the slow crawl to Launch Complex 39A at 0413 EST on January 6, 2010 – a rollout that garnered attention not only as the first rollout of the year, but also as one of the coldest rollouts undertaken by the Space Shuttle Program. So cold were the overnight/morning temperatures at the Kennedy Space Center that the normal, pre-rollout ops were spread out over a longer period of time than the standard 4hrs from rollout Call to Stations to rollout first motion. 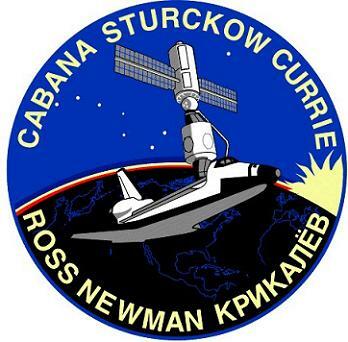 In fact, Call to Stations occurred nearly 11 hours prior to rollout. Much of this extra time was dedicated to the activation of special heating and purging equipment to ensure that certain Endeavour systems could be maintained at adequate temperatures for the duration of the rollout. 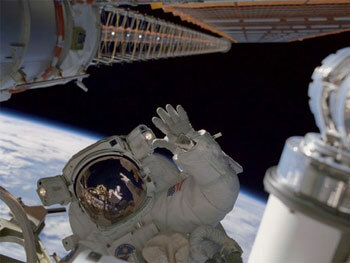 NASA immediately began reviewing options, which ranged from truncating the STS-130 mission from 3 EVAs (Spacewalks) to 1 EVA and still launching in the February timeframe without a resolution/modification to the ammonia lines or delaying the mission until later in the year when a resolution would be available. The issue itself arose primarily because of a last-minute change to Node-3’s berthing location on the ISS. 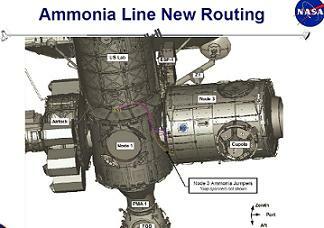 This change in berthing location meant that the ammonia coolant lines would have to bend at a near 90-degree angle to properly interface with ISS systems. Nonetheless, within a few days of the issue’s rise to prominence, NASA demonstrated an amazing work effort to understand the jumper hose failure and design a potential workaround that would allow the nominally planned STS-130 mission to maintain its target launch date of Feb. 7. Over the next 10 days, work proceeded to fix the jumper hose issue and resulted in amazing and inspiring work across the agency from thousands of dedicated engineers and managers. With the issue fixed, NASA officially and unanimously cleared Endeavour for launch on February 7 at the January 27 SOMD FRR (Space Operations Mission Directorate Flight Readiness Review). 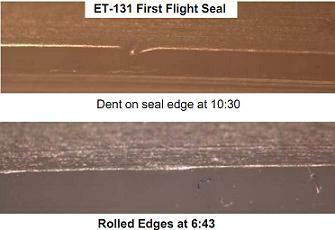 Moreover, the Agency FRR for STS-130 also brought to fruition the year-long investigation into the Flow Control Valve (FCV) poppet cracks discovered after the November 2008 flight of Endeavour and STS-126. The year-long investigation yielded six recommendations to the Space Shuttle Program, all of which were incorporated by the Program. With everything in place, the stage was set for a spectacular night time launch of Endeavour. As the countdown proceeded, Endeavour behaved extraordinarily well on the pad (a testament to the hard work of her processing teams), allowing launch personnel more than enough time to analyze a few (very few) minor issues that cropped up during the count. But in the end, it would come down to the weather, which proved to be just barely out of limits on February 7. Recycling for a 24hr turnaround, teams configured for a second launch attempt on the morning of February 8. This time, it would be the TAL (Transoceanic Abort Landing) sites in Europe that would pose an issue in terms of weather. However, thanks to real-time weather reconnaissance, one TAL site was declared “go” and at 04:14:08 EST, Endeavour lit up the partly-cloudy and cold night sky of Florida, thundering away from the Kennedy Space Center to begin STS-130. In all, Endeavour reached orbit unscathed thanks to a superb job from the External Tank teams in preparing Endeavour’s tank for flight. 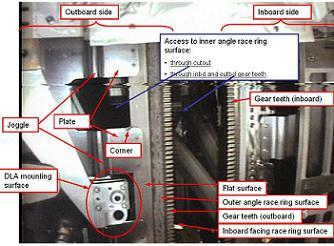 TPS inspection data revealed NO (0 – ZERO) underbelly TPS scuffs or damage zones – a first for the Space Shuttle Program. The extremely clean nature of Endeavour’s TPS allowed all those involved in the execution of the mission to focus on the mission’s objectives – the delivery and installation of Node-3 and Cupola. After successfully installing Node-3 and configuring Cupola, the STS-130 crew had the honor of opening up Cupola’s window covers for the first time and taking in the breath-taking 360 degree view of Earth from ~200miles above the planet’s surface. After 13 days 18 hours 8 minutes and 3 seconds in space, Endeavour Commander George Zamka and Pilot Terry Virts fired her OMS (Orbital Maneuvering System) engines for 2minutes 38seconds, dropping Endeavour to suborbital speed. Earth’s gravity pulled Endeavour into the atmosphere where friction between Endeavour and the atmosphere created a stream of plasma around and behind the orbiter – an event imaged by crewmembers aboard the International Space Station from the newly installed Cupola. Endeavour glided to a dark landing at the Kennedy Space Center at 22:22:10 EST on February 22 to cap off her penultimate mission. 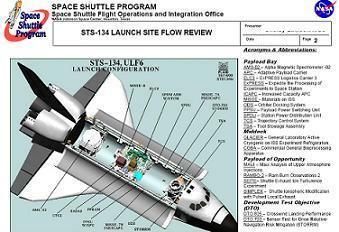 STS-130 was the 130th Space Shuttle mission, the 32nd Shuttle mission to the Space Station, and the 32nd night launch of the Space Shuttle. Upon landing, Endeavour was towed into OPF-2 where processing began for her final mission: STS-134. Following several launch date realignments, Endeavour was rolled over to the VAB on February 28, 2011 and mated to ET-122 the following day. Since arriving at Pad-A in early-March, Endeavour has enjoyed a smooth processing flow – as we’ve come to expect from her. Targeting launch at 15:47:52 EDT on Friday 29 April 2011, STS-134 will be the 25th and final flight for Space Shuttle orbiter Endeavour. 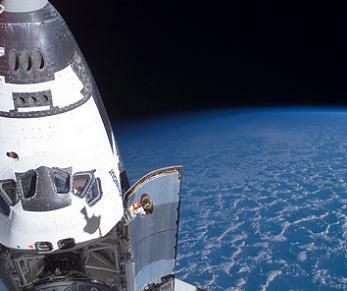 Under a full mission duration, Endeavour will celebrate her 19th birthday on May 7, 2011 (and the 20th anniversary of her delivery to the Kennedy Space Center) flying ~200 miles above Earth docked the Space Station for which she began construction of on STS-88. And just like her maiden voyage, Endeavour’s final flight will be a long, complex, and awe-inspiring mission. In addition to delivering the final full round of external spare parts for the International Space Station, she will deliver the premiere scientific experiment to ISS: the Alpha Magnetic Spectrometer -02 (AMS-02). After being mounted to the exterior of ISS during STS-134, the AMS-02 will spend the next decade conducting continuous observations of the universe, searching for evidence of and information on dark matter, dark energy, and anti-matter. STS-134/Endeavour will be the 165th manned U.S. spaceflight, the 134th Space Shuttle mission, the 25th flight of Endeavour, the 36th Shuttle flight to the ISS (Endeavour’s 12th), the 109th post-Challenger flight, and the 21st post-Columbia flight. The mission will mark the final spacewalks to be conducted by a Space Shuttle crew, the final time an international astronaut will fly on the Space Shuttle, the use of the final External Tank to be delivered to the Kennedy Space Center from the Michoud Assembly Facility in Louisiana, the final all-male crew of a Space Shuttle mission, the final flight of a major European Space Agency payload element on the Space Shuttle, and the delivery of the final major payloads to the ISS by the Space Shuttle. 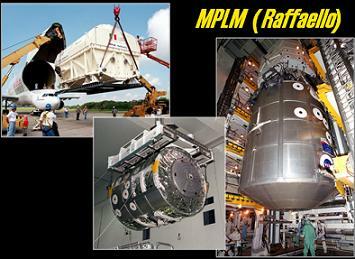 But more importantly, delivery of AMS-02 and all the spares on ELC-3 (Express Logistics Carrier 3) will mark U.S. Assembly Complete on the International Space Station… meaning that Endeavour will become not only the orbiter to have begun construction of the ISS, but also the orbiter which completes U.S.-segment assembly of the ISS. Endeavour will also permanently leave her OBSS behind on the ISS so that future ISS crews can make use of its ability to extend the reach of astronauts to the outer most elements of the Station’s truss. 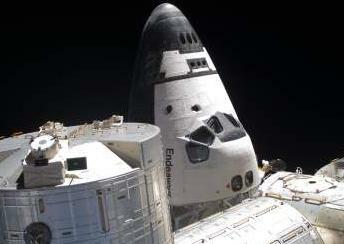 Thus, Endeavour will once again return home without her OBSS (as she did on STS-123). 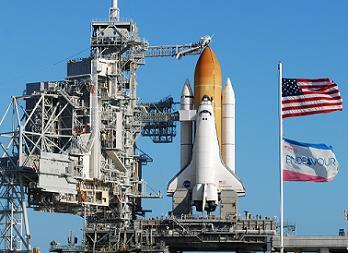 Upon her return from STS-134, Endeavour will undergo post-career deservicing and Transition and Retirement processing. During T&R processing, she will further have her Shuttle Remote Manipulator System, or robot arm, removed. Her SRMS will be sent back to Canada where it will be displayed at a Canadian museum to highlight Canada’s numerous contributions to the Space Shuttle Program. After T&R work is complete, Endeavour will be hoisted atop the Shuttle Carrier Aircraft and flown out of the place that she has called home for two decades. After a ferry flight across the United States, Endeavour will arrive for retirement display in the state where she was built. OV-105 Endeavour will spend her retirement on permanent display as the centerpiece of a newly planned space exhibit at the California Science Center in Los Angeles, California – just miles from the Palmdale facility where she was constructed. Like her sailing ship namesake of the 18th century, the Space Shuttle Endeavour has never faltered in her mission to expanding our understanding of the scientific frontier. From saving the Hubble Space Telescope, to broadening our knowledge of maneuverability in space, to her innumerable scientific studies and experiments, to the knowledge she gave us about the contours of our home planet, and to the International Space Station (which will be one of her longest-lasting legacies), Endeavour has constantly taken us to new and unprecedented territories. She has been, and will be for countless generations to come, a ship that inspires pride, awe, and the quest for knowledge. To the good ship Endeavour, we give you our heartfelt thanks and gratitude. And as you prepare for your final voyage of exploration and discovery, we wish you clear skies and a strong wind on your sail. To the Endeavour and all who have flown aboard her… THANK YOU. 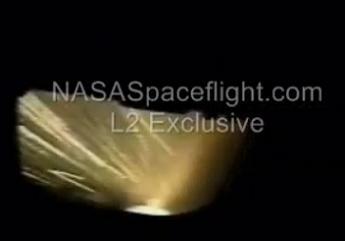 (Lead Image via Larry Sullivan MaxQ Entertainment/NASASpaceflight.com – including some within the aritcle. All other images within the article via NASA.gov, Jacques van Oene, Spacepatches.nl and L2′s Historical Section – With large collections of Hi Res (larger than desktop size, average 3mb each, many scanned and restored from hard copies) images, videos, MER reports, etc. For nearly every mission – over 500 gbs an growing).